A couple of years ago, I was privileged to be part of a Christian group that conducted Bible studies every week and also encouraged one another through God’s word. One summer, the group organized a retreat at the lake and we were joined by two other friends who had just been converted to Christianity. For some reasons, unknown to me, the leadership of our group entrusted these newly converted brothers with some leadership roles at the retreat. This was a great mistake as we will later realize. During the retreat, various teachings were programmed. But trouble came up when it was a turn for a teaching that had to deal courtship and marriage. Boy! I couldn’t believe my ears. The brother was very zealous for the Lord but had little knowledge. The speaker was evidently embarrassed. But thank God that despite being offended by these remarks, the speaker handled it very well and we continued with our program. Later as I reflected on this scenario, 1 Timothy 3 came to my mind. In this chapter, Paul discusses qualifications for Christian leaders and one qualification he lays out is that a Christian leader “must not be a recent convert, or he may become puffed up with conceit and fall into the condemnation of the devil” (1 Timothy 3:6). I, strongly, believe that the leadership of our group was wrong in entrusting leadership roles to these newly converted brothers. They were supposed to grow first in the faith as well as learn from other mature Christian leaders before they could provide leadership. I don’t think that someone who’s grown and continues to grow in their faith would regard a Biblical teaching on courtship and marriage as unnecessary and unspiritual. This is just one of many examples of challenges the church faces as a result of entrusting leadership to new converts. Please get me right, I don’t mean to say that new converts are of no use in God’s Kingdom. This is not what I am saying and meaning. Rather, basing on Scripture I am arguing that new converts should be taught first and enabled to grow in their faith before they can lead. It saddens my heart to see a person getting converted today and in no time he is pastoring a church. No, this can’t be! What kind of pastorate is this brother going to provide. Also, get me right. I don’t intended to underestimate the gifts and power that God gives out even to new converts. However, these gifts need to be nurtured over a period so that they can be used in a proper way that glorifies God. 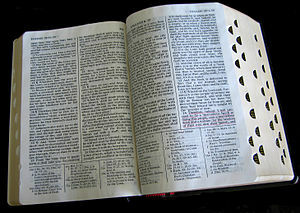 In this part of the world, where many Christian leaders hardly make it into seminary, Bible or theological college due to lack of resources and inadequacy of training institutions, I would not argue that every new convert should be trained in such institutions before he leads a church; nevertheless, I would suggest that if one cannot make it into to a training institution, he should learn under a mature and godly Christian leader or leaders for some time before he can venture into leadership of God’s flock. Timothy never went to seminary but he learnt from his spiritual Father Paul. Even apostle Paul, himself, before he ventured fully into Christian leadership on his own, he partnered with Barnabas and in the process he learnt some lessons of Christian leadership, I believe. As somebody said, “Every Timothy needs Paul and every Paul needs Timothy” I would like to encourage our mature Christian leaders to identify young people, probably, those who have just been converted to Christianity and train them in Christian leadership. Young people should also be humble enough to sit down under mature and godly men and learn from them how to lead God’s flock in a way that glorifies God. In this way, the church will never give leadership responsibility to a recent convert who may become puffed up with conceit and fall into the condemnation of the devil. Do prophets still exist today? My answer: Yes and No. Please allow me to explain. Yes: Basing on Scripture we see that prophets were the men called by God to speak on behalf of God. In other words, prophets took a word from God and gave it to God’s people. In this sense, I would say that prophets still exists in form of preachers of God’s Word. Every time, a preacher stands up to preach from the Bible (God’s Word) he is actually saying: “Thus says the Lord in the Bible.” So in this case, prophets (preachers) still exist today. No: Prophets both in the Old and New Testament got their revelation directly from God in various forms. So, in this sense, prophets of the caliber of Old and New Testament (who directly get special revelations from God) do not exist anymore. Why? Because God’s special revelation ceased with the completion of the Bible (66 books: 39 in the Old Testament and 27 in the New Testament). I know the statement ‘God’s special revelation ceased’ has sent cold chills down the spine of some and probably you have began to agitate in anger against me but I beg you to hear me out. So, please read on. God’s giving of special revelation (the Bible) had to with the redemption or salvation of man after man sinned. From Genesis, God revealed his plan of salvation little by little until when Christ came and completed the plan of saving man through his birth, death, burial and resurrection. So, when God completed his work of saving man through Jesus Christ, God also completed the work of giving out special revelation with the last book of Revelation. “God’s giving of revelation, spoken and written, is always historically joined and qualified by God’s work of redemption. Now that God has accomplished salvation once-for-all, in Christ, He has also spoken His word, once-for-all, in Christ and in those whom Christ has authorized and empowered by His Spirit (Hebrews 1:1, 2; 2:3, 4; Matthew 16:15-19; John 14:26; Ephesians 2:19, 20). With the completion of salvation in Christ comes the cessation of revelation. Consequently, the church now lives by a ‘Scripture only’ principle of authority,” (Reformed Perspective Magazine, Vol. 9, No. 15, April 8-14, 2007). Today, we cannot get any special revelation apart from the one that God has revealed to us through the Bible. Please consider this. Suppose a person calling himself a prophet comes to you with a book in which he has written all ‘the revelations’ he has got from God, will you add that book to the Bible so that you have a Bible with 67 books? Would you call that book the Word of God as you call the Bible? Certainly not! Yet what God revealed to the prophets of the old is contained in the Bible as God’s own word. I hope you get my point there! Also ponder with me on this. When I ask those who believe that prophets still exist on how they know whether a prophecy is true, they say that they weigh it against the Bible. If what is said is supported by the Bible they take it. If what that man calling himself a prophet says anything that contradicts the Scripture, they leave it. Now, if you always have to compare any ‘new revelation’ with the Bible, it means that there is no single new revelation that can come to you besides the Bible. In other words, you are in essence saying that God’s final revelation is the Bible and whatever ‘revelation’ that is outside the Bible is not God’s revelation at all, isn’t it? By this, you, further, agree with me that there are no new ‘revelations’ apart from the Bible hence no new prophecies apart from those contained in the Bible consequently also no prophets like those we read in the Bible. “So then you are no longer strangers and aliens, but you are fellow citizens with the saints and members of the household of God, built on the foundation of the apostles and prophets, Christ Jesus himself being the cornerstone, in whom the whole structure, being joined together, grows into a holy temple in the Lord,” (Underscoring added). The same Apostle Paul who tells us that God gave the gifts of apostle and prophets to the Church also reminds us that these apostles and prophets are the foundation of the Church. Now, let me ask you. After you have laid the foundation of a house, do you still use the same foundation materials to build the wall of the house as well as roof it? NO! The foundation remains down. Similarly, the apostles and prophets being foundation of the church are no longer needed today unless we say that the church is still at its foundational level. But most certainly, after almost 2, 000 years since the birth of the New Testament Church no one would say that the Church is still at its foundation level. The church of Christ has grown and it continues to grow. But what about the ‘predictions’ that the men called ‘prophets’ make and they come to pass, aren’t these a sign that prophets still exist today? First, we should not confuse prophecy with prediction. In as much as prediction is part of prophecy, prophecy is more than prediction. The prophets of the Bible rebuked, taught, encouraged and also predicted. Secondly, we should realize that the ability to predict does not always and solely come from God. In Acts 16:16-18, we read of a girl who could predict out of powers of a demon. Recently also, during the 2010 World Cup Soccer Finals, there was an octopus called Paul in Germany that also predicted outcome of games before they were played. Did this ability to predict, in the two cases cited, come due to revelations directly from God? No! Would you call the girl and the octopus, prophets? God forbid! “The men who challenge the Church to revive the gift of prophecy have good intentions. They want to see significant growth in the Kingdom; they want to see believers have a vital mystical relationship with Christ. They are not heretics, but they are proposing major doctrinal shifts that we sincerely believe will lead to confusion and dangerous consequences. Regardless of spectacular experience being reported by godly men, we must resist the temptation to satisfy our spiritual thirst for anything other than the certainty of the written Word of God” (C.I.M. Outline #57, The Gift of Prophecy: Is it for today?). “Long ago, at many times and in many ways, God spoke to our fathers by the prophets, but in these last days, he has spoken to us by his Son, whom he appointed heir of all things, through whom also he created the world” (Hebrews 1:1, 2). I believe that Hebrews 1:1, 2 helps us to put this matter of prophets in the right perspective. However, before dwelling on the passage, there is a need to go back to the Old Testament where the ministry of prophets began and see what it says about prophets. Basing on various passages of Scripture, we see that prophets were people who had been called by God to speak on behalf of God. In others words, prophets took the word from God and presented it God’s people. Luke 24:27 also tells us that all prophets pointed to Jesus and their work found its fulfillment in Christ. This is what we read in Luke 24:27: “And beginning with Moses and all the Prophets, he (Jesus) interpreted to them in all the Scriptures the things concerning himself.” Again in this passage we see that All the prophets spoke about Jesus the true greatest prophet. Secondly, Jesus Christ is our true greatest prophet because he reveals the full picture of God to us. The prophets of the old times began to reveal the picture of God to us but their work remained incomplete until when Christ came and revealed the full picture of God to us. It’s like the painter. Before a painter paints a picture, he begins to draw with a pencil and after that he takes the painting brush and paints the picture and eventually we see the full picture as it ought to look. In Jesus, the full picture of God is revealed to us. Therefore, if we want to know God, we should realize that we have the greatest prophet who reveals this God to us. He is Jesus Christ. There is no need for you and me to run to this man and that woman in order to hear from God. We have Jesus the Word who reveals the full picture of God to us. Jesus fully reveals God to us in Scripture. As somebody said, “All Scripture is all about Jesus and according Jesus.” Immerse yourself in it. Read it with joy and out of love and you will know God fully. You don’t need any prophet any more for you to know God because in these last days, God has spoken to us through Jesus Christ. By the way, the last days began with the coming of Christ on earth. From that time to now, we are living in the last days. Thirdly, Jesus Christ is the true greatest prophet because He reveals the whole will of God to us. In the past God revealed his will through the prophets little by little at different times in history. At one particular time God would reveal his will at that time through one prophet. Then at another time God could also reveal his will at that time through another prophet. You can see this very clearly when you consider the prophets of the Old Testament. Each prophet came at a particular time to reveal God’s will at that particular time and to particular people. For instance, Prophet Isaiah prophesied about the Babylonian captivity for the Southern Kingdom of Judah and also the fall of Babylon as well as the return of Israelites from Babylon. Prophet Jeremiah prophesied to the Southern Kingdom of Judah about the victory of King Nebuchadnezzar over this nation as means of God’s punishment to unrepentant Judah. Prophet Ezekiel prophesied while in Babylon the return of God’s people to the Promised Land. Prophet Joel prophesied about the Day of the Lord in which God will come in judgment upon his covenant people for their disobedience and rebellion against God. Prophet Hosea prophesied in the Northern Kingdom of Israel and he mainly spoke against the mixing of worship of Yahweh with idols also known as syncretism. So, the prophets kept building on each other as they revealed God’s will to his people. They kept revealing God’s will for his people in stages or phases; however, when Christ came he revealed the whole will of God to us. This is why Hebrews 1:1, 2 says that in the past God spoke to us in various ways through various prophets but now, He has spoken to us once and for all through Jesus Christ. God wants us to listen to our true greatest prophet Jesus. This is why during the Transfiguration when Jesus took Apostles Peter, John and James to the top of a mountain. Moses and Elijah appeared to them and God the Father spoke from heaven and said, “This is my Son, my Chosen One; listen to him” (Luke 9:35). Fourthly, Jesus is our true greatest prophet because He reveals the whole future to us. One of the things that the prophets of the old were known for was their ability to foretell the future. Although prophecy involves more than foretelling future events, still this is an element of prophecy. Jesus is our true greatest prophet because he does not only know the future but he is also the future himself. Jesus Christ being fully God he is our future. There is nothing that will come to pass in this world or in the life to come that Jesus does not know or control. While God could reveal some future events to the old prophets, in Jesus the whole future is in his hands. This is why Christ says to us: “Fear not, I am the first and the last, and the living one. I died, and behold I am alive forevermore” (Revelation 1:17). In Jesus the true greatest prophet our future is secured because he does not only know the future but also holds the future and the whole world in his hands. Oh, how I love this true and greatest prophet. So please, let this truth always linger in you mind: “Long ago, at many times and in many ways, God spoke to our fathers by the prophets, but in these last days, he has spoken to us by his Son, whom he appointed heir of all things, through whom also he created the world” (Hebrews 1:1, 2). Life is described with many similes. Some have described it as a drama; some have said it is like a journey. Those who are acquainted with roller coasters have likened it to roller coasters. Others have preferred to describe life as a race. These and many other similes are given to life depending on how one views life. Christ also has his own metaphor of describing life. In Matthew 7:24-27, Jesus likens our day to day life with the art of building. As a matter of fact, he says that all of us are builders. He also goes on to categorize the builders into two namely wise and foolish builders. On sand. This can mean many things, but to sum it up, we would say that anything that controls and drives our lives apart from Christ is sand. Anything that stops us from making Jesus Christ the Lord and Savior of our life is sand. To some, it might be fame. There are people today that are driven by fame. In everything they do, they value fame more than anything else, and this in the end leaves Christ having no room in their lives. To some the sand can be wealth and riches. To them nothing, not even Jesus, matters more than riches and wealth. 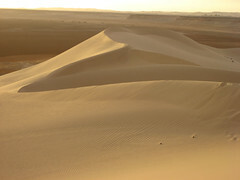 Different philosophies and ideologies that you hold dear to but oppose God’s Word are also sand. The list is endless. Those who have built on this sand should know that a day is coming when the rains will fall, streams rise, and the winds blow against their houses, and the houses will be crashed into pieces. Finally, the day when rains will fall and the streams rise, and the winds blow against your building. This is the day when each one of us will depart this earth and stand in front of the great judge, the God of heaven and earth, and give an account of what you did with Jesus Christ. One important question will be posed to each one of us: Do you know Jesus Christ as your Lord and Savior and does Jesus know you as his? Our response will reveal whether we built our house on the sand or on the rock. So, build wisely, build on the rock and His grace is sufficient to enable us build on the rock.